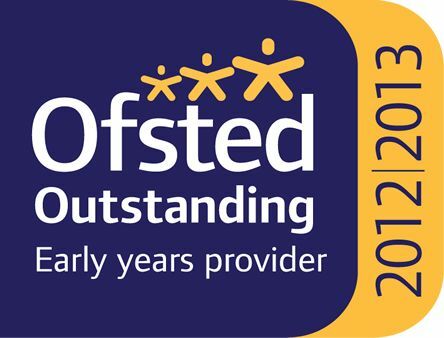 Our proud boast is that, since The Old Rectory Nursery opened in January 1986, we have cared for over 1000 children and we are now even caring for their children. Previous staff members are enrolling their children for childcare, pre-school education and work experience - we must be doing something right! 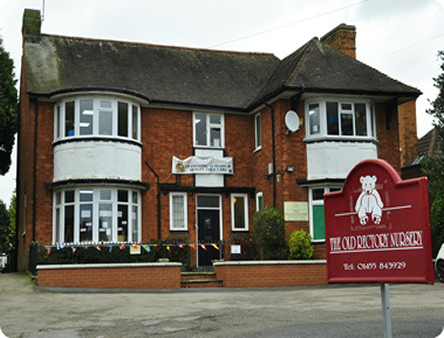 The Old Rectory Nursery is registered to care for up to 64 children per day Monday to Friday all year round, with an age range of 6 weeks to 8 years (primarily up to 5 years old) Our staff members have been specially selected for their skills, love and enjoyment in caring for and stimulating your children. We are lucky to have such a dedicated team. Unlike many other nurseries The Old Rectory Nursery is based on the family, albeit a large one; a family comprising adults and children of different ages and abilities. We believe this approach mirrors a family in the truest sense, so there are times during the day when the ages are integrated. This enables the babies and younger children to gain extra interaction and stimulus from the other children, who in turn learn to respect and care for those younger and less able than themselves. As there are plenty of adults around there is always time for that special cuddle. However there are times when the children are re-grouped into special rooms for babies, toddlers and preschool, to enable staff to foster abilities relevant to their peer group. This is done under the guidance of the Early Years Foundation Stage principles and our own experience. We do not just move the children up to the next room when they turn a certain age we work closely with the parents more about when that child is ready and ask for the parents input to the transition. 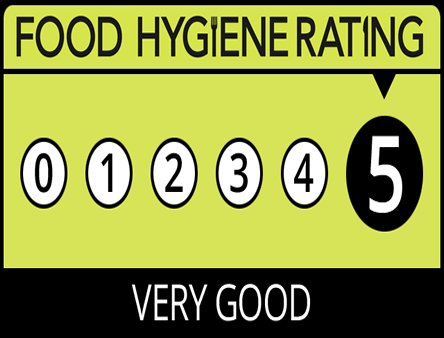 We can offer 2 year FEEE, 3 year FEEE as well as the 30 hours FEEE, providing you meet the necessary criteria. To you, your child is the most precious in the world, and therefore the quality of care, stimulation and education provided is of the utmost importance. Appreciating this, every child is treated as an individual and we offer them the opportunity to learn through many different aspects of play - play is the most important activity at this impressionable stage of their life. Whatever the age of your child, their learning is delivered in a way which makes it FUN. Victoria is the Owner and Manager of The Old Rectory Nursery. Victoria has been at the nursery since 2007. Victoria has an EYPS (Early Years Professional Status) and The Early Years Foundation Degree. 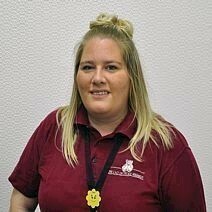 Sam has been a valued member of staff at The Old Rectory Nursery since 2005. Sam is the Deputy Manager. Sam oversees the running of the nursery and also cares for the children in all rooms. Sam has completed&nbsp;The Early Years Foundation Degree. 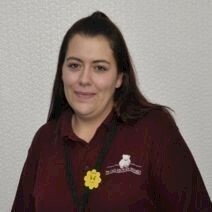 Amy has been a valued member of staff at The Old Rectory Nursery since 2011. 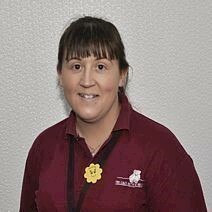 Amy is a senior Nursery Nurse. Amy works mainly within Preschool room but does also care for the children in the other rooms. Amy has a Diploma Level 3 in Childcare.